Today, March 16, 2018, Nicaraguan citizens using their constitutional right to protest, gathered in various parts of the country to peacefully protest the Ortega-Murillo regime and demand the release of all political prisoners. Protesters were met with violent repression and were assaulted by police. The current number of arbitrarily detained (as of 8:30pm EST) are over 81 confirmed cases and 164 reported, which includes leaders and civilians. Journalists were assaulted and their equipment confiscated. There are reports of shootings by paramilitary and police forces against the civilian population across the country. Among the people arrested are members of the Civic Alliance for Justice and Democracy, current members of the team negotiating with the government, long-time feminist activists, human rights defenders, environmentalists, students, the former Minister of Education, former Sandinista leaders and many others (below is a preliminary list). 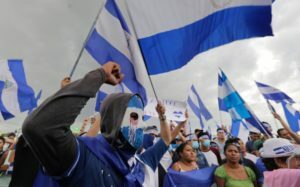 During the last 11 months, Nicaragua has faced the worst repression and violation of human rights of the last 40 years. Since April 2018, the grassroots peaceful uprising has been brutally repressed by the National Police and armed paramilitary forces creating a national crisis that has resulted in over 325 dead, over 80,000 people have fled the country and over 700 people are imprisoned for protesting against the regime. Daniel Ortega’s strategy has been to kill, capture, torture and disappear protesters in hopes of silencing the opposition. In December of 2018, the Group of Independent Interdisciplinary Experts commissioned by the Inter-American Commission of Human Rights, reported that in Nicaragua the government committed crimes against humanity. After the breakdown in the dialogue of 2018, the severity of the political, social and economic crisis as well as the pressure from the international community including US sanctions against Nicaragua, the government and the Civic Alliance for Justice and Democracy agreed to begin negotiations once again. On February 27th, only hours before the negotiations were about to take place, the government released approximately 100 political prisoners and put them under a form of house arrest, another form of government control. Yesterday, the government released another 50 prisoners. 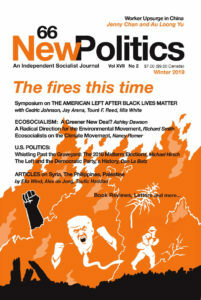 The release has been seen as a direct response to citizen and international pressure. The government continues to capture civilians everyday and reports of prisoners being tortured are frequent. Within days of the renewed negotiations, the Catholic Bishops Conference withdrew as witnesses. The student movement also withdrew from the negotiating table given the government’s unwillingness to release all of the political prisoners and the lack of freedom of association, of expression and of the press. Today’s massive detentions of peaceful protesters reveal the brutality of an authoritarian regime who wants to remain in power despite widespread opposition. The Nicaraguan people are convinced that peace is the only way forward. Ortega’s firepower is contrasted with the people’s conviction for a free, democratic and just Nicaragua.